Find out the answers in proper cleaning of carpets in the FAQs below. 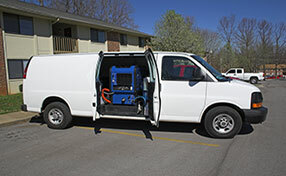 Who doesn't have carpet cleaning and stain removal related questions? Get answers here below by taking a look at the frequently asked questions and their answers. Learn how to deal with stains and how to remove nasty odors. These FAQ's can help anyone, even non-professionals. Want to find out how to clean and take care of carpets and rugs? Check out the answers to FAQ's related to carpets. Why do commercial carpets look terrible after regular cleaning? Commercial carpets have a very different construction from residential carpets. They will not fare well with vacuuming and conditioning solution. The loop construction allows for more soil buildup that gets trapped deep into the fibers. 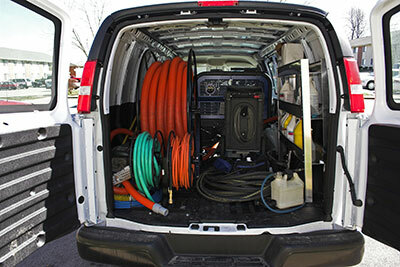 If soil buildup is allowed to sit overtime, cleaning afterwards could cause harm to the fibers. The key, as Carpet Cleaning Moraga suggests, is to make sure that commercial carpets are kept in a relatively clean condition all the time, using a rotating or cylindrical brush. Do stain-resistant carpets remain stain-free forever? Carpets, no matter how expensive, could not stay stain-free forever. They need proper care and maintenance to keep them looking fresh. Manufacturers have made sure that they follow modern techniques in producing the pricey floor covering. One of the most recent features introduced is stain resistance. Wool area rugs, with their unique fibers are soil resistant. That means the outer layer’s waxed surface keeps the soil on the upper area so it can be easily removed. How can I be sure the colors of carpets are strong? Many consumers are afraid to use even ecofriendly products for carpet cleaning. They fear about intense discolorations or affecting the colors of carpets. Specialists of Carpet Cleaning Moraga insist on trying detergents before you use them. Clean just a small part of the corner of the carpets to see if the colors are affected. You should be very careful with handmade rugs because it is natural colors that fade away quicker. If your carpet is of high quality, it becomes less likely to shrink. NCCA members were advised to perform a complete inspection prior to any cleaning procedures, and the members are also required to do the test for potential problems such as shrinkage. How do I vacuum the carpets? You should be very gentle when you vacuum your carpets, especially if you have oriental rugs made of natural fibers. Don't put any force because fibers might get damaged over time. Avoid vacuuming the fringes. Make sure the filters of your vacuum cleaner are often cleaned. As our experts say, some rugs come with rug cleaning instructions, which should be read carefully.